See More GPS Equipment Here This vehicle GPS tracker is a vehicle tracking device with built-in GPS and GSM modules all contained within a compact unit, it can transmit the longitude and latitude coordinates to your cell phone via SMS, then you can find its location on the free Google maps or any other map software, also allows you to gain control of your vehicle through cell phone SMS. 1. Locating and Tracking, you send an SMS to this device and it will transmit the longitude and latitude coordinates back to your cell phone via SMS allowing you can find its location on the free Google maps or any other map software. 2. 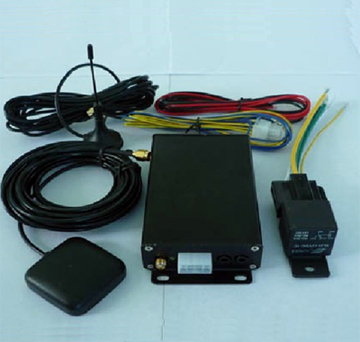 Remote control of engine and circuit, you can cut off or restore the engine and circuits by sending an SMS to the device anywhere and anytime. 3. Movement alarm, send SMS to the device to start the movement alert function, when the vehicle moves the device will send the movement alert to your cell phone. 4. Excess speed alarm, send SMS to the device to start the excess speed alarm function, when the vehicle exceeds the excess speed limit the unit will send the excess speed alert to your cell phone. 5. Geo-fence function, you can set up a geo-fence for your car via SMS to restrict its movements within a district. The device will send a message to your cell phone when it breaches the geo-fence. 6. Compatible with the original car alarm system, this device can be connected with the original car alarm system so it can send SMS alarm to your cell phone after the original alarm system warning is triggered. Please check that your countries road traffic laws permit the use of this item before purchasing.